Aechmea Blue Rain - cold winters I really like these flowers. I was wondering where I can buy these at? Was also wondering being as we are 4b on the climate zone if they can be placed outside during the summer here being it's hot and humid during the summers and then placed indoors for the winter? 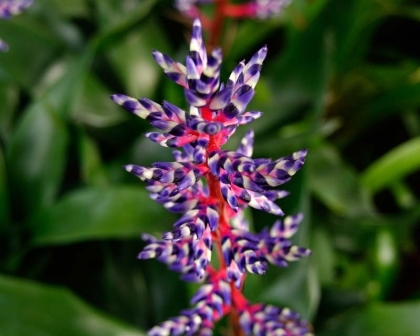 Hey Nerijus, we have never heard of Aechmea being poisonous for any animals, so I think you can let your cat wander freely. Aechmea Pup Flowering Hi, Thanks for your useful info I've followed them all. I got my blue rain last year and followed your instructions of the rip apple method. There are 3 little pups now and I've been watering them and separate them from their mother pups which finally died completely after 5 months time. So now my question is how long would it take for the little pups flower again? Thanks!